The Twisted Olive™ has multiple casual dining spaces that flow from a vibrant open kitchen concept to various family, social and private dining spaces. Group and private dining guests have a variety of unique, beautiful room selections to choose from depending on group size & style of their event. The Twisted Olive™ provides a modern, vibrant dining experience in the City of Green. Nestled in a beautiful park setting with plentiful indoor and outdoor seating, this modern restaurant estate overlooks beautiful landscapes and water features. The casual menu includes classic Italian American fare perfect for family and business luncheons and dinners. Private Dining space is also available at Gervasi Vineyard™. Contact sales@gervasivineyard.com for more information. 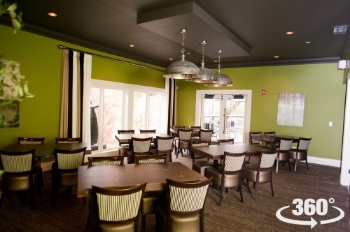 The Twisted Olive™ is different and uniquely its own, while achieving the standards that the community has come to expect from a Gervasi Experience. The Twisted Olive™ private dining rooms can be rented on select days and include a food and beverage minimum, requiring a deposit to secure the booking. Based on the private group's size, a la carte menu ordering or pre-planned buffets available. For menu information and pricing, download the Group & Private Dining Packet or contact Event Sales at 330.497.1000 ext 122 or sales@gervasivineyard.com. Have a question about Private Dining? Contact us below! Thank you! Our Event Sales will contact you with more information as soon as possible.